C-Chore I dislike the most: ALL OF THEM!!! E-Essential start of my day begins with: Turning the alarm off. L-Living Arrangements: IN A HOUSE. P-Pet Peeve: SELFISHNESS, PEOPLE TREATING LIFE AS A COMPETITION. Q-Quote from movie: FROM WALK THE LINE- Jerry Lee Lewis: We're all going to hell for the songs we sing! JAKE- HONEY JUST CAUSE I TALK SLOW DOESN'T MEAN I'M STUPID. W-What make me run late: COLE.. HE'S ALWAYS READY UNTIL WE'RE SUPPOSED TO LEAVE THEN ITS I GOTTA DO THIS AND THIS AND THIS. Praise the Lord, I passed Nclex and am now officially an RN!!!!!!! I thought this day would never come!! A BIG thanks to everyone who said prayers for me throughout the past two years. God is Good and I could've never gotten this far on my own. Maybe now I will be able to blog more since I won't be studying anymore (WOW- that sounds weird)!! Here are a few more pictures from Pinning and Graduation! The first is of Me & Haley! We were the "Ha(i)ley's from McMinnville." We definitely spent a lot of time together over the past two years carpooling back and forth to Lebanon, and Clinicals. AND!!! We both got jobs at CRMC and in the SAME UNIT!!! Cole said he felt like he graduated too! LOL!! He's been really good & understanding throughout this whole journey. It's been a long journey, too! Me & my best friend Jarrod. He and Stacey came to pinning. She was supposed to be in the picture, but she jumped out at the last second!! I still just can't believe its over! I thought things would slow down once I graduated and I actually think it has been right the opposite. I've been crazy busy since I finished school, I hope it slows down soon. UPDATE ON MY MOM- She is doing much better since her knee replacement surgery. Her therapy is helping, but knee replacements usually have long recovery times associated with them, so please keep her in your prayers. FINALLY!!!!!!!!!!! PiNnInG & BsN gRaDuAtIoN!!! 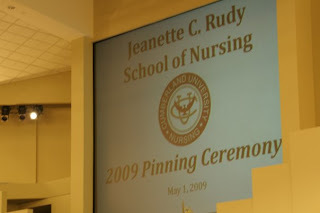 May 1 was my Nursing School Pinning Ceremony. I thought this day would NEVER come!! It was such a great feeling knowing that all my hard work over the past few years had finally paid off. Many of my friends and family came to the ceremony, which meant a lot to me. 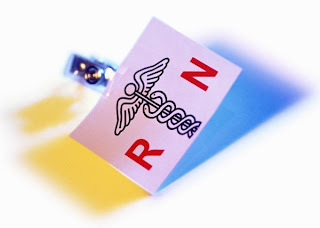 I will start my job as a Registered Nurse Intern at Cookeville Regional Medical Center on June 1 in the Nuero-Muscular Stepdown unit. I'm very excited to start working! I'll be even more glad when my state boards are over, which should be sometime this summer. I have more pictures from pinning and graduation, but blogger will only hold so many! :) I will post more in a different blog! Thank you to everyone who prayed and supported me during school. Keep sending those prayers up though- as I still have to pass the Nclex! I got this from Tara's blog and I love it!! I had to share!!!! This is one of those emails you want to share with EVERYONE! Feel free to copy and paste and share! After we finished eating, I went again to the back of the plane, heading for the rest room. A man stopped me 'I saw what you did I want to be part of it. Here, take this.' He handed me twenty-five dollars. Quickly unfastening my seatbelt I stood and took the Captain's hand. 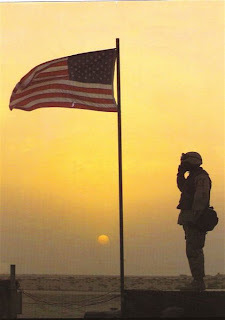 With a booming voice he said, 'I was a soldier and I was a military pilot. Once, someone bought me a lunch. It was an act of kindness I never forgot..' I was embarrassed when applause was heard from all of the passengers. I graduated May 2 from Cumberland University with a Bachelor of Science In Nursing. It was a lot of hard work, which I thought may never pay off. It did and I honestly can't believe it is already over. I got a job at Cookeville Regional Medical Center in the Neuro-Muscular step down unit. I'm super excited about it!! I love helping people in need, and being a nurse will allow me to do that everyday.. I have some of the most wonderful friends anyone could ever ask for and a family that is absolutely amazing. 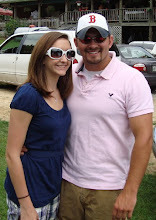 Cole and I are getting married October 10, 2009. Each day is a gift from God, so live life to its fullest and be thankful for everything that comes your way. Have a blessed day and thanks for stopping in.